A Certified Residential Specialist (C.R.S. ).This designation given to the top 4% of Realtors. Past Senior Designated Member of the National Assoc. of Real Estate Appraisers. Darrell can help you in determining value of property. Past co-owner of Five Star Development- He knows how homes are built! He is a licensed Real Estate Broker, not just a licensed agent. Maybe YOU would like that quality of service helping you into your next home? I'm a 5 star rated real estate Broker from Zillow. Look at some of my recommendations on the side bar! Since 2000, ARMLS has kept the performance of agents. Mine is exceptional performance. Agent Type: Both Buyer & Seller Representation. Buyer Broker & Relocation Specialist serving the Southeast Maricopa and Northern Pinal Counties. Specializing in Investment & REO buyer representation. e-PRO, Internet Professional Certification. A Realtor that has passed the requirements relating to the ability to use social media and websites in marketing, and evolving every day. An agent with NAR's e-PRO®certification is dedicated to making the most of today's social media and Internet technology to help you with your real estate needs, whatever they may be. Installed into Realty Executives "Hall of Fame" in 2016. CLHMS, The Certified Luxury Home Marketing Specialist™ (CLHMS) designation assures affluent buyers and sellers that real estate professionals have the knowledge, experience, and unique skills to meet their needs. Members of The Institute who hold the CLHMS designation have documented performance in the TOP 10% of their residential markets and have successfully demonstrated their expertise in the luxury home and estate market. We needed to sell our home for a work relocation, and couldn't wait until the house sold to move. So, we enlisted Darrell. There is absolutely no doubt in my mind that he was the right choice in realtors for us. Before we were ready to list he came out and did an evaluation on our property as well as a comparative analysis. When we were ready to list he was ready to go. Darrell also did a check on our title etc, and happen to find a small issue that COULD have caused a delay in closing or even cost us the sale. I don't know of many realtors who check those things in advance. There were 4/5 other homes in our neighborhood that were for sale at the same time. Ours sold in less than 10 days, we were still getting settled into our temporary apartment! The others in the neighborhood are still on the market more than 2 months later and some have lowered prices. He was very through in going over paperwork and ensured any errors were corrected (our buyers agent didn't do such a great job on paperwork, Darrell was on top of it!) Darrell was always professional, and his experience is very apparent in his work. I highly recommend Darrell for your real estate buying or selling needs. "Good morning all! As we all know, word of mouth can often make you or break you. I'd like to pass on an excellent service recommendation for our real estate agent, Darrell J. Covert. Many of you are aware we moved to Colorado in mid January, leaving our home for sale with out us there. The home was listed within a few days of our departure. I am THRILLED to say that, even in the current market, Darrell facilitated the sale of our home which closed YESTERDAY! How fast is that! There were 4/5 other homes in our immediate neighborhood for sale, that are still for sale. Ours is the only one that sold. I believe this is due to proper marketing, proper pricing and pure professionalism on the part of Darrell. Darrell handled many of the things we couldn't do from here in CO that were not his responsibility. Even more impressive, Darrell checked in advanced of our listing/sale for potential issues that could cost us a sale closing. He found one with the title and helped us get it cleared before we had an offer! This problem could have really created some issues for us. Thanks to his extra efforts it was no problem at all. So, if you are looking for a real estate agent in the Phoenix market please to consider Darrell!" Bought a Single Family home in 2013 for approximately $200K in Val Vista Lakes, Gilbert, AZ. Exceptional...is the only way to describe Darrell's devotion to finding the right house for his clients. The house I bought was the perfect fit for me. I wanted a home that was close to all the amenities, located in a gated community and within a specific price range. I would definitely ask him to be my Real Estate agent should I be interested in purchasing another home. Sold a Single Family home in 2013 for approximately $200K in Coronado Ranch, Gilbert, AZ. Darrell was very professional, he has a wealth of real estate knowledge on like no other we have every used. He provided us with a very detailed evaluation of the properties values in our area to help us determine the sale price for our home. He also provided suggestions for repairs and provided us with reliable contractors. He is very detail oriented and was very concern about the safety of our empty property. He made multiple trips to ensure the safety of the house. The house sold in record time for full prize. We would use his services again and would definitely recommend him to our friends and neighbors. 10/28/2013 - Lance and Tammy S.
Bought a Single Family home in 2012 for approximately $350K in Chandler, AZ. Darrell is a market veteran with many years of expertise and knowledge. He helped us navigate the market and was a great partner in the process. He is a straight-shooter, no-nonsense kind of guy who really knows his stuff. He stays current with changes that may affect buyers and informs them as a teacher would. I would most certainly use Darrell again for our next transaction. As first time home buyers, we were extremely lucky to work with Darrell. He guided us through the entire process, and made it a point to help us learn about every step of purchasing a home from start to finish. Darrell was always responsive to our numerous emails/phone calls, made time in his schedule for last minute showings, and educated us about visible warning signs to keep an eye out for when looking at homes (signs of termites, foundation issues, etc)- invaluable knowledge that helped us eventually pick a wonderful, safe home in great condition. Thank you! Sold a Single Family home in 2013 for approximately $250K in Dobson Ranch, Mesa, AZ. Darrell did an incredible job helping my husband and I with selling our home and buying a new home. He's very knowledgeable about the real estate market and ensured that everything proceeded smoothly. I really appreciated his professionalism and kindness. It was a pleasure working together with Darrell and I definitely recommend him! Bought a Single Family home in 2012 for approximately $175K in Cayman Square, Gilbert, AZ. Darrell is extremely knowledgable and professional. He knows all the ins and outs with regard to real estate and home ownership and does his homework in helping you sell your house. 10/18/2013 - Mike and Sarah G.
Darrell was extremely responsive and tended to our every need. Even when we felt like we were being needy, he was very accommodating. We were lucky to have him negotiate our sell and our buy and would recommend him to absolutely anybody here in the valley. Many many years of experience and it shows. 10/18/2013 - Harvey and Dee R.
Sold a Single Family home in 2012 for approximately $175K in Maricopa, AZ. 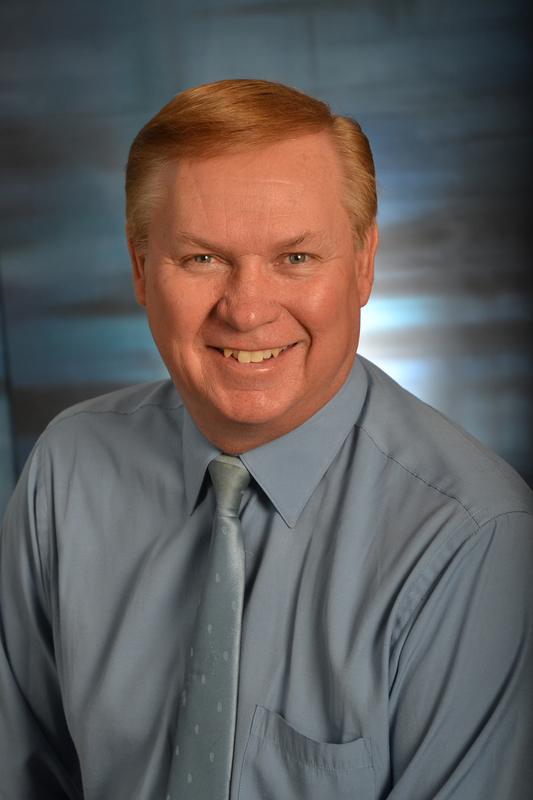 Darrell Covert is a true professional and goes above and beyond to satisfy his clients. He is also honest and loyal and very hard working and has your best interests in mind. At the time we were selling in a very rural area. Not only did Darrell get us the best price for our home he also marketed it very wisely. When purchasing another home, inventory was quite low and he was able to find us a home in a beautiful area that we could afford. To say he is patient would be an understatement. We listened to Darrell's advise because he really knows the East Valley. We would not hesitate to use his services again or to recommend him to others. He is on your side. Bought a Single Family home in 2012 in The Provinces, Chandler, AZ.